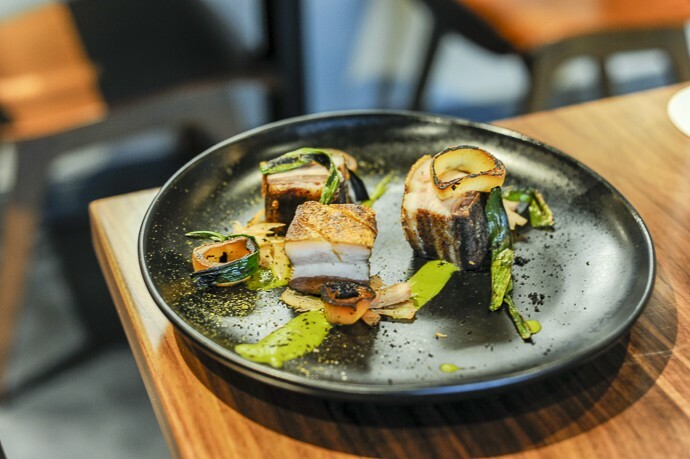 Crispy pork belly with ramp puree. 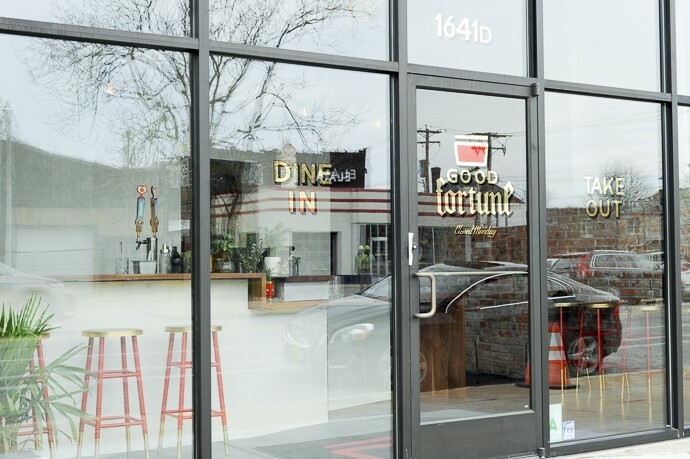 Two years and two locations after it was first announced, Good Fortune (1641D Tower Grove Avenue, 314-726-4666) is now open in Botanical Heights. 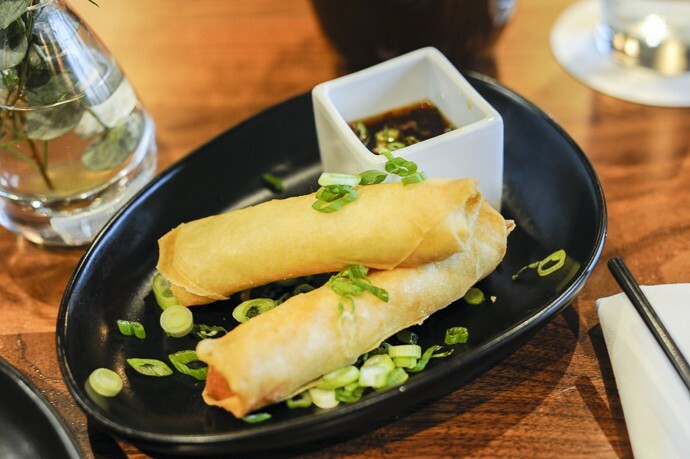 The restaurant, originally pitched as a "Chinese-Americanese" spot in the Central West, saw a shift in both its ownership group and location as months turned into years. 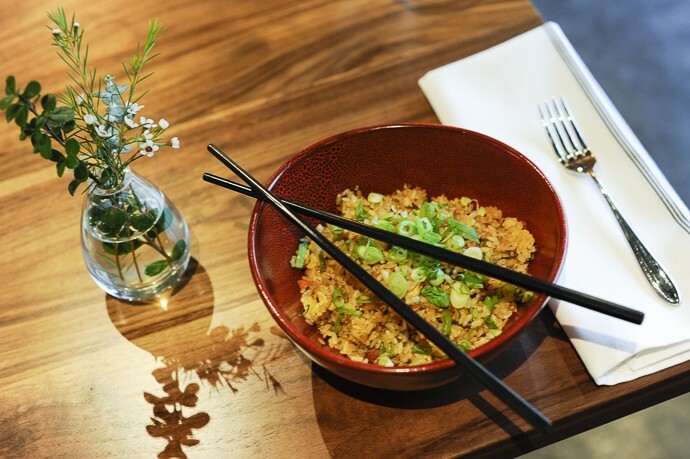 But on Friday, co-owner Corey Smale (who also co-founded Strange Donuts) and chef Ryan McDonald (best known for his work at Byrd & Barrel) finally opened their doors, serving "new American Chinese cuisine," with both takeout options and dine-in service. Rangoons have been rendered oblong and made with salt cod. What exactly does "new American Chinese cuisine" mean? 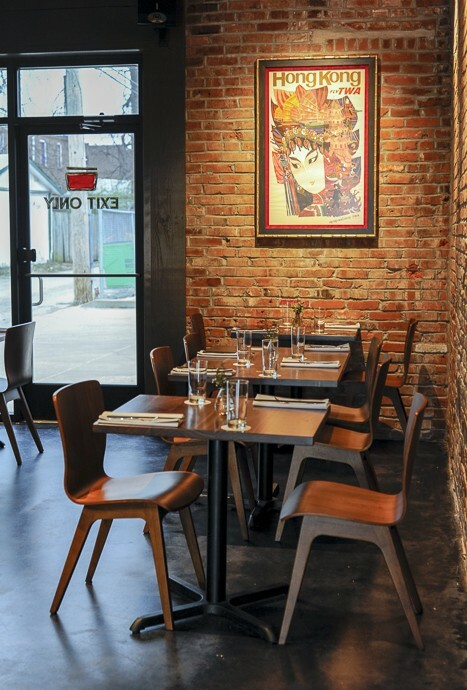 It means that the restaurant is less inspired by modern Chinese cooking — as at acclaimed St. Louis newcomers Cate Zone and Bing Bing — and more a modern riff on Americanized Chinese food. That the restaurant's phone number translates to 314-RANGOON is telling; rather than being left off the menu, those squares of cream cheese and fake lobster so beloved by American palates are here transformed with salt cod, rolled into oblongs and served with fermented sweet-and-sour sauce. Fermented foods are a big part of the menu. As its press materials explain, "Exploring ways to boost umami and optimize in-house fermentation with a touch of modern technique, McDonald has curated an approachable menu of starters and entrées that lean heavily on seasonal vegetables and reasonable portions of meat — fit for a Midwestern dining mindset. He is drawn to Chinese taste profiles for the opportunity and challenge to build dishes that don’t rely on fats to deliver flavor." That means dishes like "Mapo Doufu," which combines tofu, Sichuan fermented bean sauce, chiles, mustard greens and rice. The restauranteurs have put as much care into the look of Good Fortune as they have into the food. 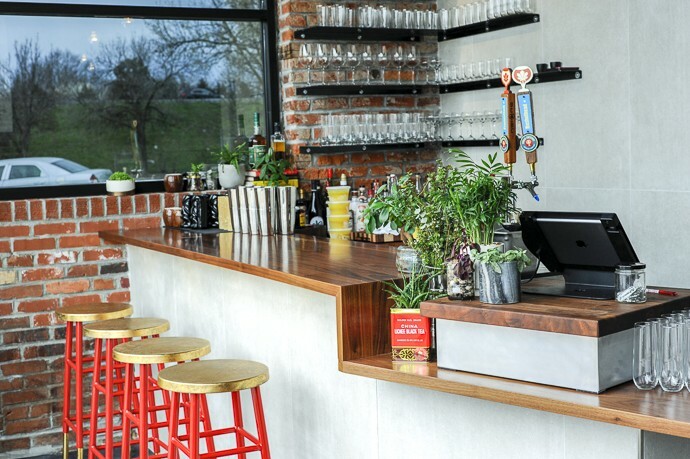 After jettisoning the former Silk Road Chinese Restaurant space on North Euclid as well as their plans for a different spot on Tower Grove Avenue, Smale and McDonald have opened in a former heating and cooling company's headquarters. 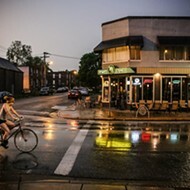 The building is owned by restaurateur Ben Poremba, who has plans to bring a bicycle shop, salon and startup space to the site as well. The Good Fortune portion is thoroughly transformed, with exposed brick walls and low lighting. 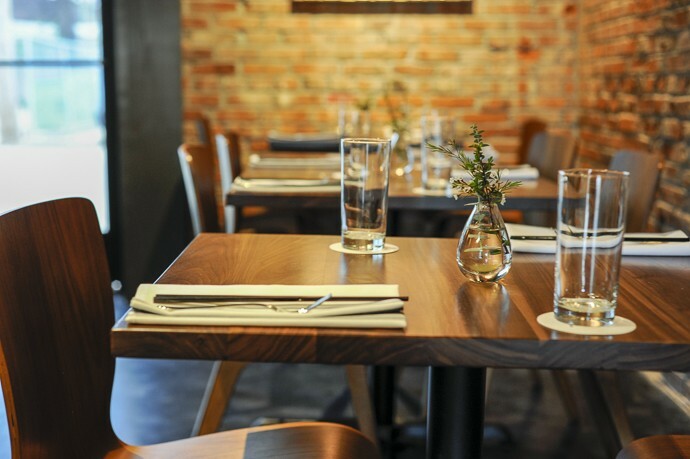 The place offers 26 seats for dining in, although with part of the space given to the takeout operation, it's cozier than that number might suggest. Four seats at the small bar offer guests a view of the kitchen behind it. On offer at that bar? 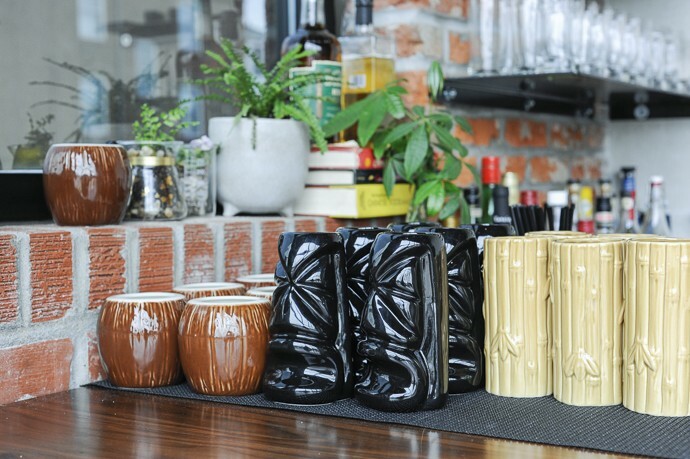 Tiki drinks, as well as other cocktails. Authentic Chinese food, this is not. But it's all very stylish. And if you're ordering takeout, don't expect the same old white cartons you can get at your local delivery service. Per its press materials, "Pulling inspiration from emerging streetwear brands and punk rock bands of the ’80s and ’90s, the branding elements of Good Fortune (including the physical space, to-go bags, etc.) have been designed with an eye towards the rebellion, kindness, and ambition of counter-culture. Design elements have also been influenced by traditional Chinese architecture and art. 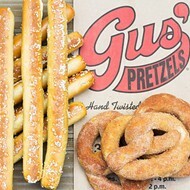 For instance, Good Fortune’s to-go packaging features a design-forward play on the iconic 'THANK YOU' carryout bags." Good Fortune is open Tuesday through Sunday, 4:30 to 9:30 p.m. Scroll down for more photos. Edwards Country ham fried rice.